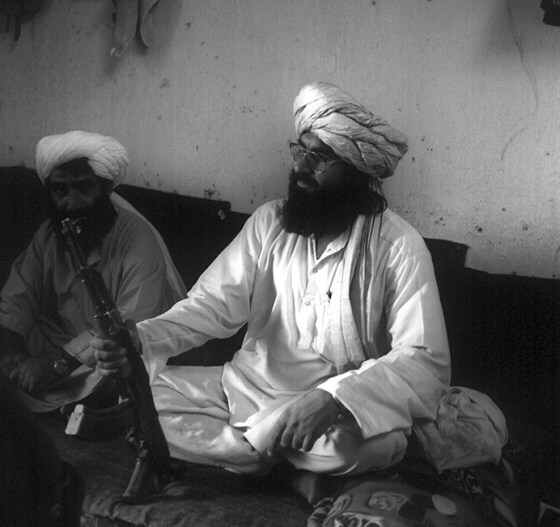 In 2006, the Swiss newspaper Die Weltwoche published a fascinating document that they had acquired in Afghanistan – a set of “rules” for the Taliban. Although it is a very loosely organized group, with many claiming membership who don’t necessarily report to the leadership council, this was an interesting development. The Taliban still refer to themselves as the “Islamic Emirate of Afghanistan,” much as ISIS stands for the “Islamic State of Iraq and al Sham. From 1996 to 2001, they were in fact the de facto government of much of Afghanistan, a longer period than ISIS governed over parts of Iraq and Syria. The period between 2001 and 2006 saw the Taliban reorganize itself, both in Pakistan and in Afghanistan. The publication of the layeha marked their return to a more active organization that sought to portray (if not practice) centralized control. The layeha itself is composed of thirty rules, which span a wide range of purposes. Some of the reasoning behind the creation of the layeha can be found in the autobiography of one of the founding members, Mullah Zaeef. In general, they can be broken down into six categories. Nearly a third of the rules are about how each group of mujahideen should operate, and what decisions must be deferred to the leadership council or a district/provincial council. One of the things that the Taliban did between 2001-2006 was to establish a “shadow government,” down to the district level, across nearly all of Afghanistan. This allowed them to try to regain the mantle of being the legitimate (read Islamic) rulers of the country. One of the more interesting rules in the layeha states that “If a Mujahid is faced with a problem that is not described in this book, his commander must find a solution in consultation with the group.” Afghan society, and particularly Pashtun tribal custom, places a great deal of emphasis on discussion and consensus building. This is reflected in many elements of the laheya. Along with the shadow government, the Taliban also established shadow courts. Even amongst Afghan citizens who were not hard-core supporters of the Taliban, these courts became popular as they were seen as much less corrupt than those run by the government. As even secular issues are governed by Islamic juris prudence, the “source documents” for law in the government and Taliban courts are the same, increasing their appeal. The laheya reinforces this by demanding that certain kinds of disputes be brought before the courts, rather than being solved by the mujahideen themselves (potentially with violence). Although portions of Afghan society clearly do support either the government or groups such as the Taliban, the majority of the population support neither, or both depending on the circumstance. This great group of “undecided” are the targets for persuasion by all sides in the conflict, and should any group gain majority support, they will likely prevail. The layeha decrees how certain members of the population are to be treated, in part to decrease the possibility of not supporting either force. Professions such as being a teacher or working for an NGO are defined as supporting the government, opening up these individuals to attacks and reprisals. These rules are part of the Taliban’s overall information operations, and desire to more clearly divide society into supporters and non-supporters. Much like the desire to portray the Taliban as being incorruptible, they also seek to portray themselves as a highly moral organization. Many of the petty or bizarre rules that the Taliban imposed when in government are rooted in their own narrow view of Islamic morality. One of the key rules within the layeha is a ban on smoking – which was also outlawed from 1996-2001. Only one of the thirty rules within the Layeha concerns itself with tactics, and it is very simple: “Every Mujahid must post a watch, day and night.” Taliban training is generally rudimentary, relying instead on experience (stretching back to the war against the Soviets) and moral righteousness to prevail. The entire layeha is show below. From the highest leader of the Islamic Emirates of Afghanistan. 1) A Taliban commander is permitted to extend an invitation to all Afghans who support infidels so that they may convert to the true Islam. 2) We guarantee to any man who turns his back on infidels, personal security and the security of his possessions. But if he becomes involved in a dispute, or someone accuses him of something, he must submit to our judiciary. 3) Mujahideen who protect new Taliban recruits must inform their commander. 4) A convert to the Taliban, who does not behave loyally and becomes a traitor, forfeits our protection. He will be given no second chance. 5) A Mujahid who kills a new Taliban recruit forfeits our protection and will be punished according to Islamic law. 6) If a Taliban fighter wants to move to another district, he is permitted to do so, but he must first acquire the permission of his group leader. 7) A Mujahid who takes a foreign infidel as prisoner with the consent of a group leader may not exchange him for other prisoners or money. 8) A provincial, district or regional commander may not sign a contract to work for a non-governmental organization or accept money from an NGO. The Shura (the highest Taliban council) alone may determine all dealings with NGOs. 9) Taliban may not use Jihad equipment or property for personal ends. 10) Every Talib is accountable to his superiors in matters of money spending and equipment usage. 11) Mujadideen may not sell equipment, unless the provincial commander permits him to do so. 12) A group of Mujahideen may not take in Mujahideen from another group to increase their own power. This is only allowed when there are good reasons for it, such as a lack of fighters in one particular group. Then written permission must be given and the weapons of the new members must stay with their old group. 13) Weapons and equipment taken from infidels or their allies must be fairly distributed among the Mujahideen. 14) If someone who works with infidels wants to cooperate with Mujahideen, he should not be killed. If he is killed, his murderer must stand before an Islamic court. 15) A Mujahid or leader who torments an innocent person must be warned by his superiors. If he does not change his behaviour he must be thrown out of the Taliban movement. 16) It is strictly forbidden to search houses or confiscate weapons without the permission of a district or provincial commander. 17) Mujahideen have no right to confiscate money or personal possessions of civilians. 18) Mujahideen should refrain from smoking cigarettes. 19) Mujahideen are not allowed to take young boys with no facial hair onto the battlefield or into their private quarters. 20) If members of the opposition or the civil government wish to be loyal to the Taliban, we may take their conditions into consideration. A final decision must be made by the military council. 21) Anyone with a bad reputation or who has killed civilians during the Jihad may not be accepted into the Taliban movement. If the highest leader has personally forgiven him, he will remain at home in the future. 22) If a Mujahid is found guilty of a crime and his commander has barred him from the group, no other group may take him in. If he wishes to resume contact with the Taliban, he must ask forgiveness from his former group. 23) If a Mujahid is faced with a problem that is not described in this book, his commander must find a solution in consultation with the group. 24) It is forbidden to work as a teacher under the current puppet regime, because this strengthens the system of the infidels. True Muslims should apply to study with a religiously trained teacher and study in a Mosque or similar institution. Textbooks must come from the period of the Jihad or from the Taliban regime. 25) Anyone who works as a teacher for the current puppet regime must recieve a warning. If he nevertheless refuses to give up his job, he must be beaten. If the teacher still continues to instruct contrary to the principles of Islam, the district commander or a group leader must kill him. 26) Those NGOs that come to the country under the rule of the infidels must be treated as the government is treated. They have come under the guise of helping people but in fact are part of the regime. Thus we tolerate none of their activities, whether it be building of streets, bridges, clinics, schools, madrases (schools for Koran study) or other works. If a school fails to heed a warning to close, it must be burned. But all religious books must be secured beforehand. 27) As long as a person has not been convicted of espionage and punished for it, no one may take up the issue on their own. Only the district commander is in charge. Witnesses who testify in a procedure must be in good psychological condition, possess an untarnished religious reputation, and not have committed any major crime. The punishment may take place only after the conclusion of the trial. 28) No lower-level commander may interfere with contention among the populace. If an argument cannot be resolved, the district or regional commander must step in to handle the matter. The case should be discussed by religious experts (Ulema) or a council of elders (Jirga). If they find no solution, the case must be referred to well-known religious authorities. 29) Every Mujahid must post a watch, day and night. 30) The above 29 rules are obligatory. Anyone who offends this code must be judged according to the laws of the Islamic Emirates. This Book of Rules is intended for the Mujahideen who dedicate their lives to Islam and the almighty Allah. This is a complete guidebook for the progress of Jihad, and every Mujahid must keep these rules; it is the duty of every Jihadist and true believer.